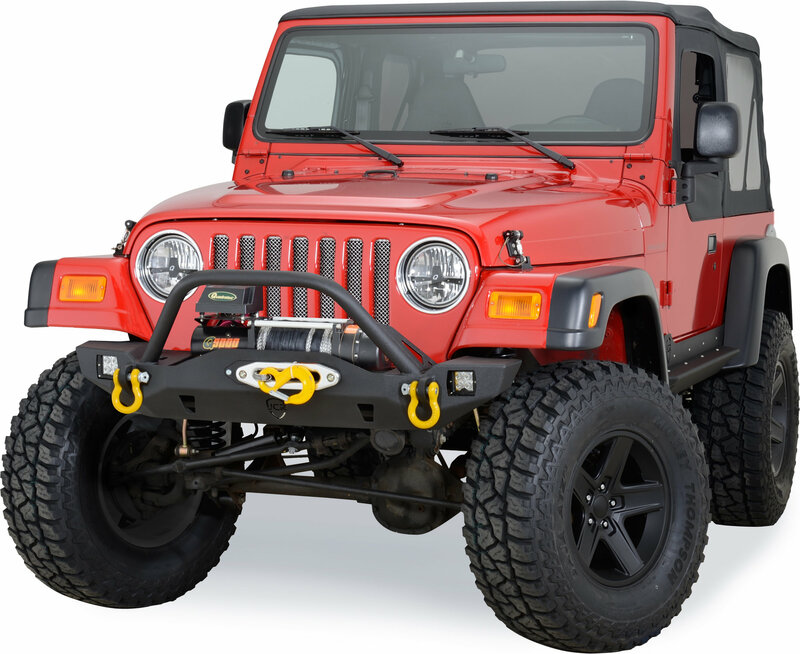 JcrOffroads Crusader Front Winch bumper is designed for those looking for improved clearance, but still want some fender protection for the Jeep® Wrangler TJ. Great American made, solid bumper! Does this bumper have the light tabs on the bullbar? In some pictures it does, then others it does not. Hello, these bumpers do not come with light tabs. Thank you for your question.